Partly cloudy skies this morning will give way to cloudy skies and rain during the afternoon. High 73F. NW winds at 5 to 10 mph, increasing to 15 to 25 mph. Chance of rain 70%.. Rain showers this evening with mostly clear conditions overnight. Low 46F. Winds NNW at 15 to 25 mph. Chance of rain 80%. Concrete slabs, parts of a rusty combine and other machinery lay partially buried in the sloping banks of the Green River as it snakes through rural Henry County, Ill.
What was a junkyard for old farm parts a half-century ago has become a dumping ground for leftover concrete and asphalt, environmentalists say. On the other hand, a local trucking company that has been placing the concrete along the river in recent years says it has the government’s OK to build floodwall protection for residents in the area. The controversy might soon end up in court, as Quad-Cities Waterkeeper, a local environmental watchdog group, filed a complaint with the Illinois Environmental Protection Agency against Ballegeer Trucking of Geneseo and its owner, Dave Ballegeer. The complaint gives Ballegeer Trucking 60 days to remove concrete it allegedly dumped without authorization into the Green River or the company will be sued in U.S. District Court. The complaint was filed March 2. Norris has taken his boat up the Green River several times in the past few weeks, taking photos and videos of what’s in the river. He also has taken aerial photographs from a single-engine plane. The Quad-City Times accompanied Norris on one of his boat trips as well as on the plane trip to see firsthand what’s being claimed. Besides huge chunks of concrete, Norris said he has found rebar, tires, parts of an abandoned tractor and other machinery and other debris. The Green River flows about 89 miles from Lee County, Ill., southwest through Whiteside, Bureau and Henry counties before ending at the Rock River in Colona. 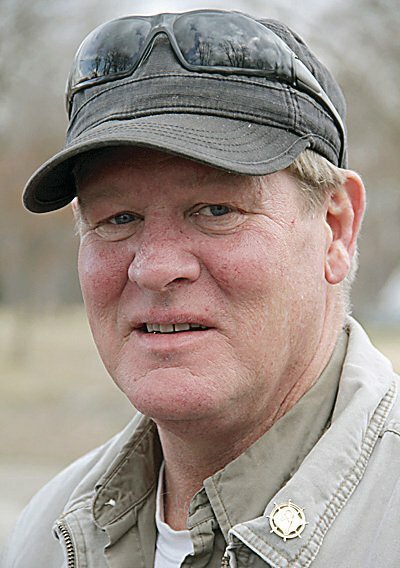 Norris claims Ballegeer has dumped concrete and other impurities along a 1-mile stretch of riverbank without permits and without authorization. Dave Ballegeer said he put the concrete into the river to build a protective floodwall for his hometown of Colona. He said the U.S. Army Corps of Engineers gave him permission to do so. Ballegeer also said that after the Waterkeeper complaint was filed, inspectors from the Corps of Engineers and Illinois EPA went out to the Green River, took photographs and made separate reports. Maggie Carson, spokeswoman for the Illinois EPA, acknowledged that her agency received the Waterkeeper’s complaint. She also said an inspection was done and no violations of the Clean Water Act were found. Ron Fournier, the Corps of Engineers’ public information officer, said Ballegeer was authorized under a national permit to build the floodwall. “What was done by the Ballegeers met our standards and regulations,” Fournier said. The Waterkeeper group, which is affiliated with the national Waterkeeper Alliance, has hired an attorney, Scott Jerger of Portland, Ore., to fight its case. He said the decisions by the Corps and EPA don’t change his legal analysis of the case. “We still intend on filing a suit at the expiration of the 60-day period,” Jerger said. He said he understood the Corps’ position that Ballegeer’s activity was covered as either bank stabilization or maintenance of a previously authorized structure. “My opinion is that neither of these permits would cover the dumping activity, and that is clear from the terms of the permits themselves,” Jerger said. 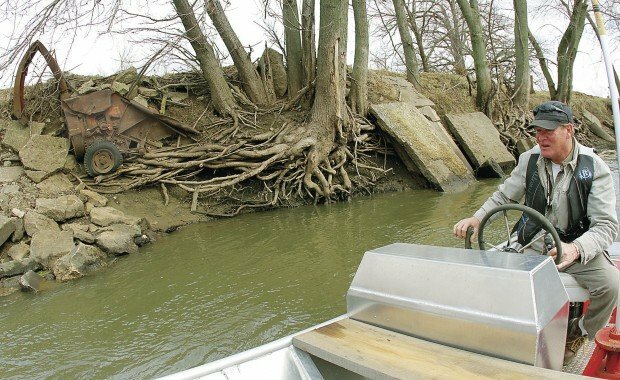 Mike Erickson, village clerk of Cleveland, Ill., who has lived in the area his whole life, said many concrete slabs have been dumped into the actual river and not just the banks. He said the concrete affects boat travel and fishing in the river. He said depending on how low the water is, the propeller of a boat could hit a concrete slab. A state environmental watchdog group said a lot of ambiguity exists as to how much the Clean Water Act protects small rivers and streams. Muller also has seen many cases in which citizens, and not a government agency such as EPA, take on potential local polluters. “Citizens are the watchdog,” Muller said. “They’re the ones really supervising the Clean Water Act.